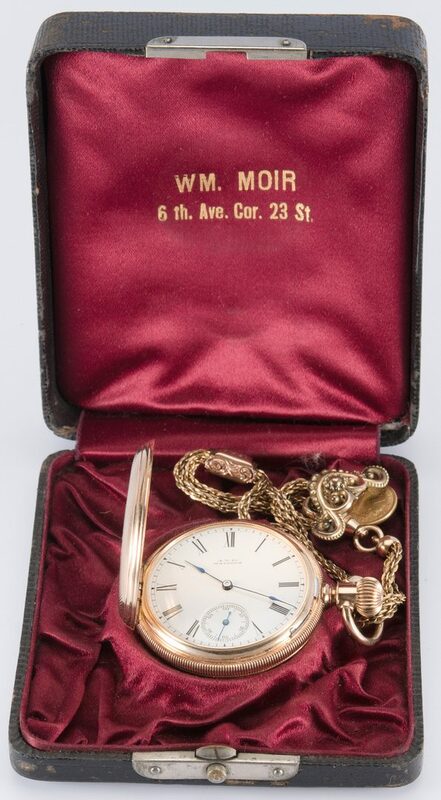 14K American Watch Company, Waltham, Mass., hunting case watch, white enamel dial with secondary dial, Roman numerals, blue spade hands, crystal damaged. 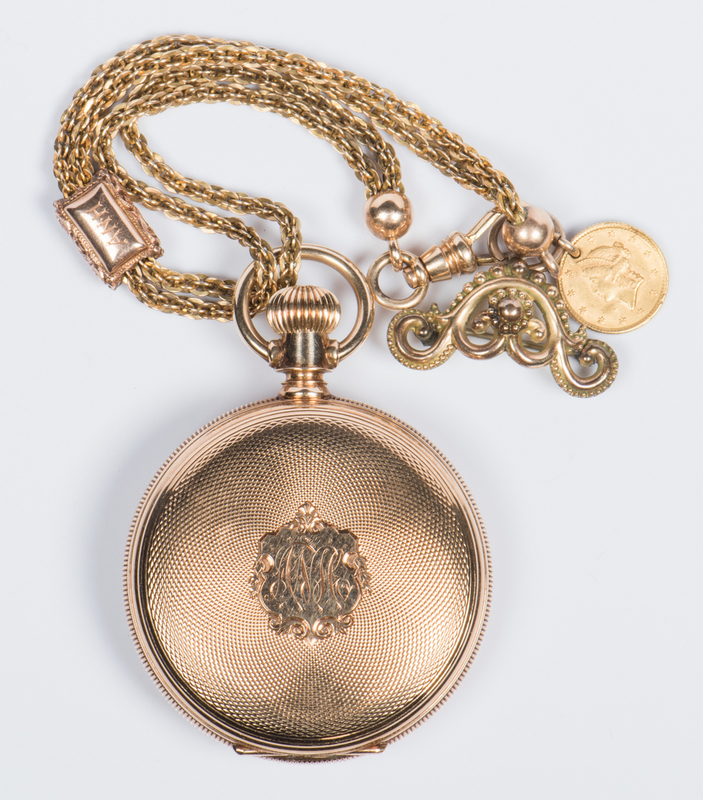 With 10K (tested) yellow gold watch chain (9 1/4" L) with 1851 drilled one dollar coin charm and gold-metal Victorian pin/pendant. Case marked 14K inside cover and on dust cover. Case P3021, works marked Wm. Ellery, Waltham, Mass. # 2558062. 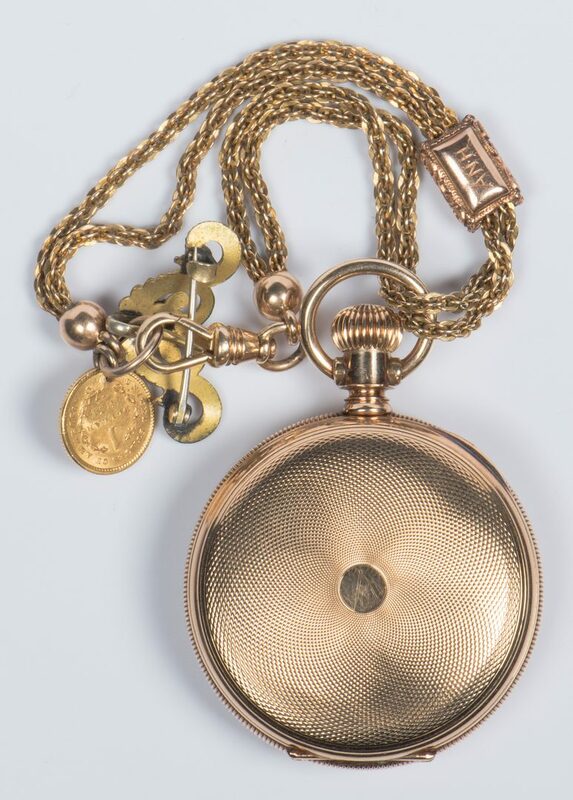 1 5/8" W. 83 grams total including watch works and Victorian plated pendant. 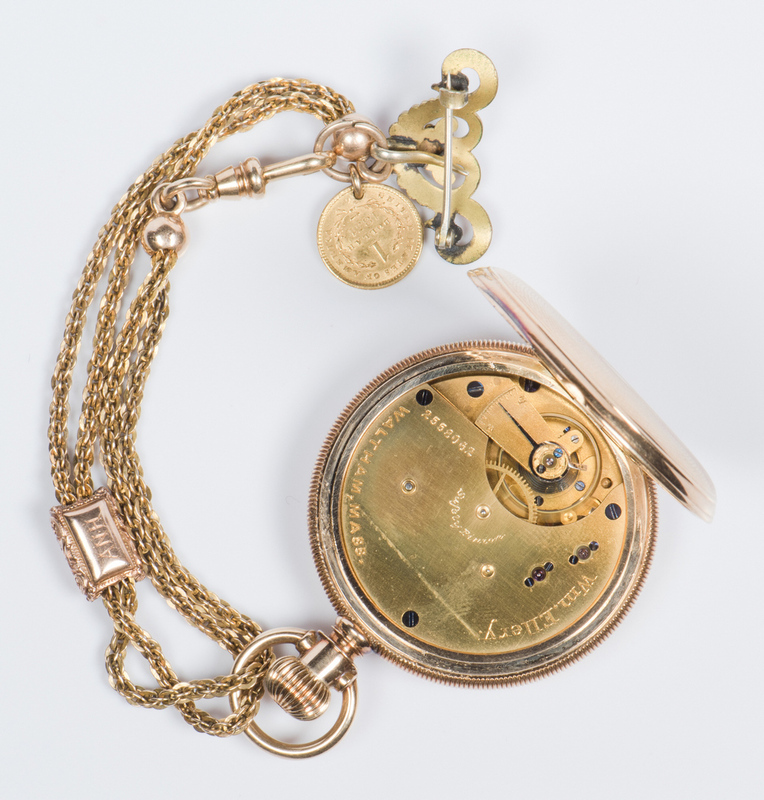 Comes with original fitted case with retailer mark for Wm. Moir, 6th Ave, Cor. 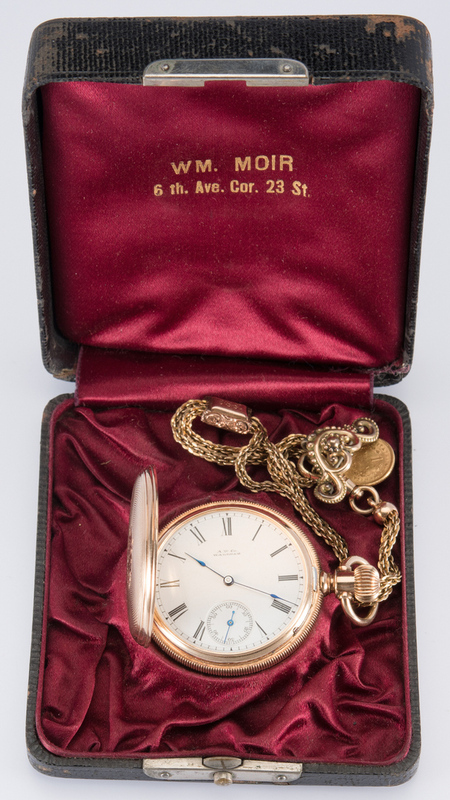 23 St. 1 3/8" H x 3 1/2" W x 4" D. Watch was an 18th birthday gift to Anna Naomi Haring on Feb. 5, 1886 whose initials are engraved on the outside of the case. Provenance: Private collection, Knoxville, TN. 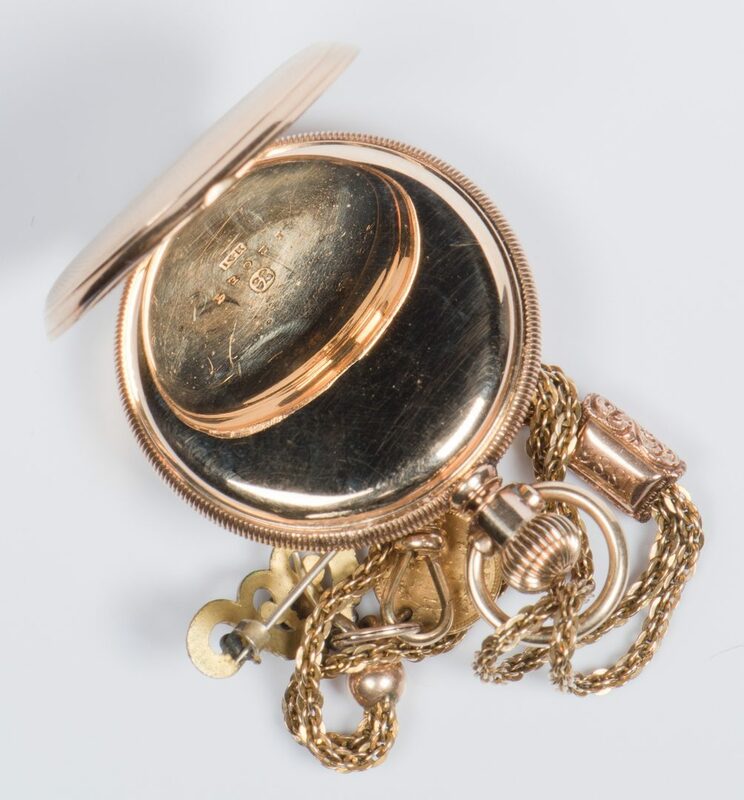 CONDITION: Watch crystal damaged and case worn.